April 19, 2018 | 11 a.m.
As part of this year’s Convocation series on “Fear, Courage, Change,” Bethel University invited nationally known interfaith leader Eboo Patel to campus in April. A Muslim, Patel shared with Bethel’s Christian students, faculty, and staff—as well as prospective students and their families visiting for an admissions event—the importance of being good neighbors in an interfaith society. 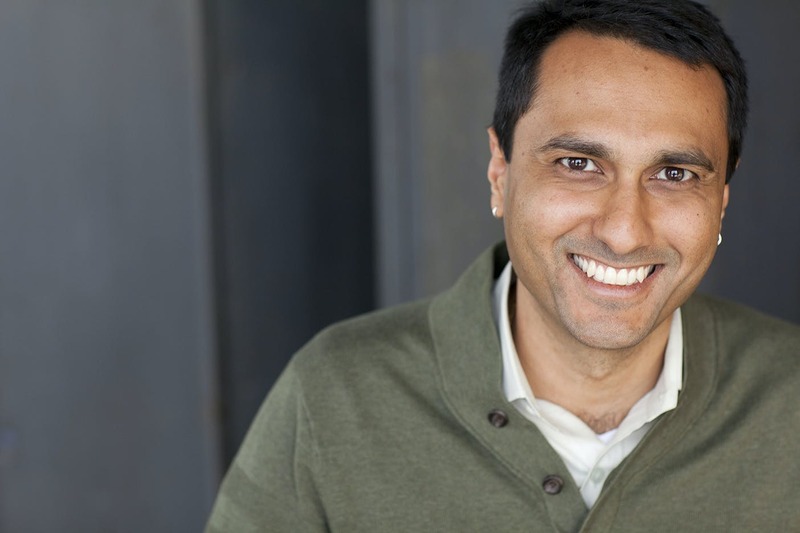 The founder and president of the Interfaith Youth Core (IFYC), a Chicago-based international nonprofit leading the interfaith youth movement, Patel has a doctorate in sociology of religion from Oxford University. He has previously spoken at Council for Christian Colleges and Universities (CCCU) conferences as well as CCCU-member schools Calvin College in Michigan, North Park University in Chicago, and Wheaton College in Illinois. While held during the Chapel time, Convocations at Bethel are different from Chapel. A Convocation Committee comprised of faculty members and Campus Ministries staff together set a theme for the year and invite prominent speakers connected to the theme to give a lecture-style address. Bethel University President Jay Barnes introduced Patel during the April Convocation by talking about the changing demographics in Minnesota, which has 5 million residents—900,000 of whom are first- or second-generation immigrants, many from other faith traditions. “How do we as Christ-followers engage people from other faith traditions in an increasingly pluralistic world?” Barnes asks. Patel offered suggestions and began his address by sharing the folk story, “Stone Soup.” In the fable, a visitor comes to a village filled with residents who keep mostly to themselves and are suffering from hunger, anger, and fear. By cooking a pot of “stone soup,” the visitor draws the villagers out of their homes to share their food and enjoy a meal together. For Patel, the visitor offers a great example of the type of person an interfaith leader should strive to be. 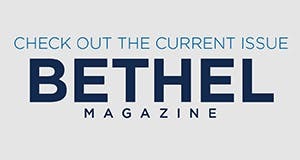 Patel sees interfaith leaders coming into a tense situation and improving it by creating a new activity and assigning different roles to the people involved. An interfaith leader needs to help others see a community as well, says Patel. Patel knows Bethel students will face interfaith situations after they graduate. “What will you do to make yourself worthy of the title of ‘Christian?’” he asks. He shares the story of the Good Samaritan from the Bible and stories from his Islamic faith that demonstrate interfaith dialogue and communities coming together to help make a difference in the world. “That’s why when we do the work that we do and it gets hard...keep doing it,” he says. While he was visiting Bethel, Patel also spoke to a youth ministry class and a history of Islam class. He enjoys working with college campus communities and students, especially faith-based institutions like Bethel. For about 10 years, Bethel has worked with Patel’s IFYC and received two grants to fund various interfaith initiatives on campus. Patel welcomes more opportunities to work with Bethel and other Evangelical colleges.